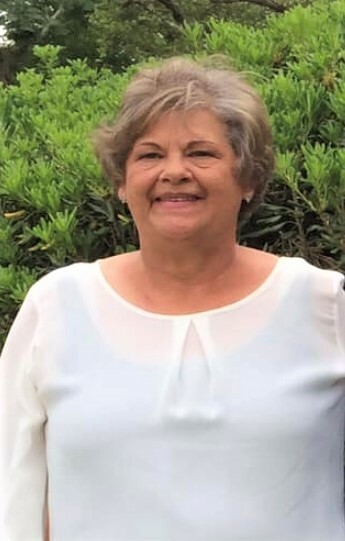 BEEVILLE – Marsha Lee Christian Cain, 68, of Beeville, died on April 14, 2019. She was born on Mar. 1, 1951 in Weslaco, Tx. She married Dewey Wayne Cain on Aug. 30, 1969 in Woodsboro, Tx. She had worked in the oil and gas industry for several years. She is survived by her husband, Dewey Wayne Cain of Beeville, Tx; one daughter, Shara (Sid) Elder of Beeville, Tx; one son, Matthew Wayne Cain of Dallas, Tx; one brother, Jimmy (Dee) Christian of Portland, Tx; four grandchildren, Colton (Sierra) Jobe, Morgan Jobe, Camryn Lofthouse and Cade Elder. She is also survived by several nieces, nephews and friends. Visitation will be held from 6-8 pm on Monday, Apr. 22, at Oak Park Memorial Funeral Chapel. Funeral services will be held at 10 am on Tuesday, Apr. 23, at Oak Park Memorial with Mr. William Jobe officiating. Interment will follow at La Rosa Cemetery in Woodsboro, Tx. Serving as pallbearers are Cade Elder, Drew Elder, Andres Gaitan, Colton Jobe, Mike Miller and Rey Rodriguez.